I’ve mentioned previously why I think of Ina Garten, better known as the Barefoot Contessa, as my kitchen fairy godmother–basically it’s because her recipes are quick, easy, and delicious. What better combination is there? 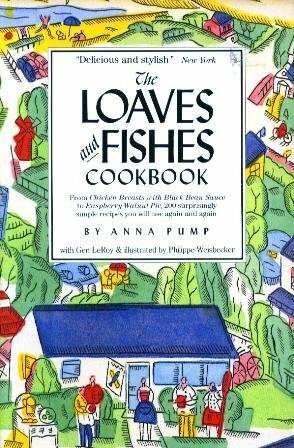 Anna Pump, who once worked with Garten and now owns the wonderful bakery, Loaves and Fishes, creates wonderful food following Garten’s no-fuss philosophy. 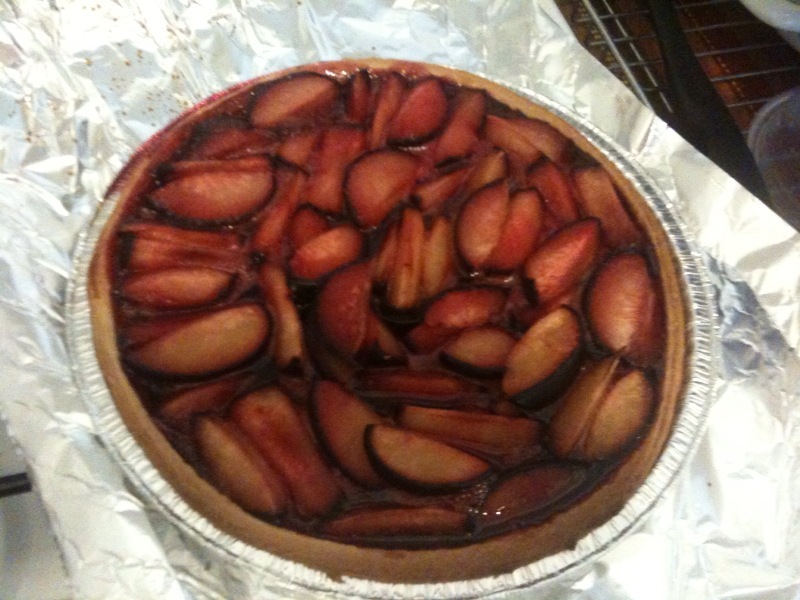 Lucky me, Trusty’s mom and dad always stop by Loaves and Fishes when they go out to the Hamptons and bring us one of Pump’s amazing Plum Tartes…which I promptly eat in one sitting. 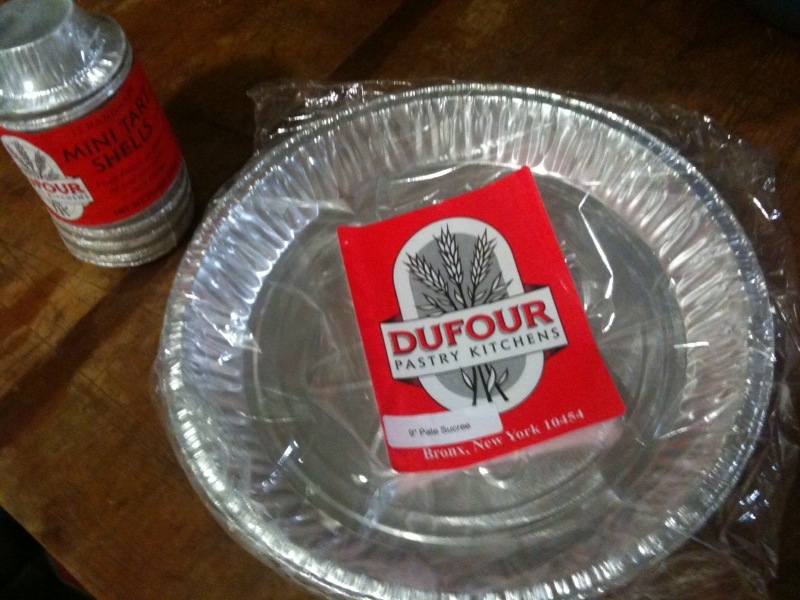 Unable to track Pump’s recipe down, I’ve devised my own, inspired by hers–it’s quick and easy to prepare (partially because I buy the crust, frozen)–and not to brag, but this tarte tastes as good as the original! Hope you enjoy! Pit and slice the plums into wedges. 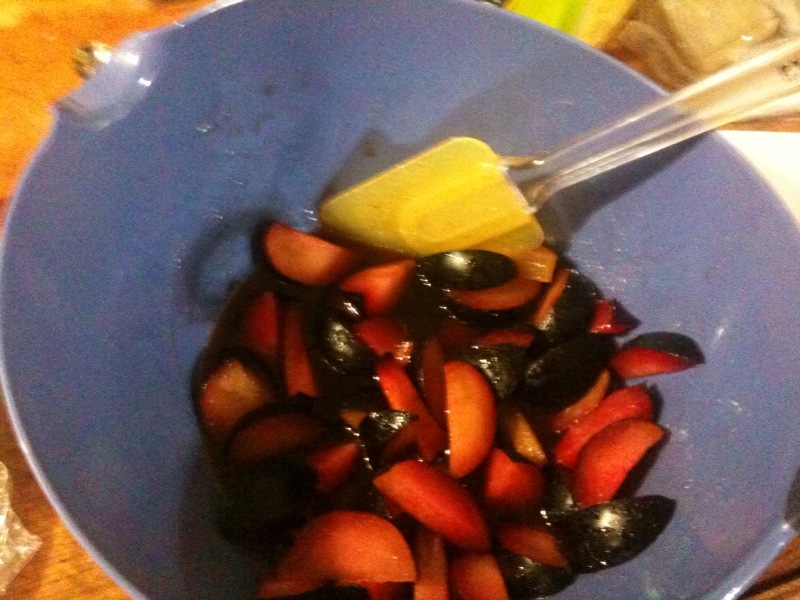 In a large bowl, mix the plum slices together with the sugar, cassis, and the squeeze of fresh lemon juice. Let the fruit sit in the bowl for about 10 minutes; it will begin to macerate. Arrange the slices so they are skin-side down. If you are entertaining, you can arrange the plums in a “flower” pattern by beginning at the outside and working your way in. Or, just go with an organic arrangement–it’ll taste just as good. 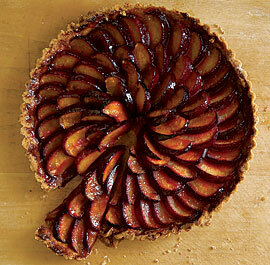 ...or take the no-fuss route (just make sure the plum wedges are skin-side down). 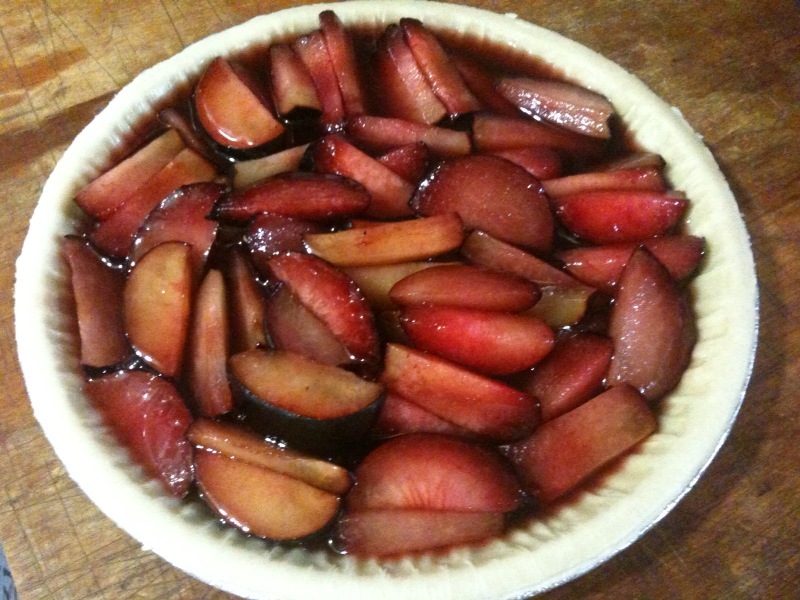 Bake for 35-40 minutes, or until the the crust is lightly browned and the plum juices are bubbling. Remove from the oven and cool for 10 minutes. 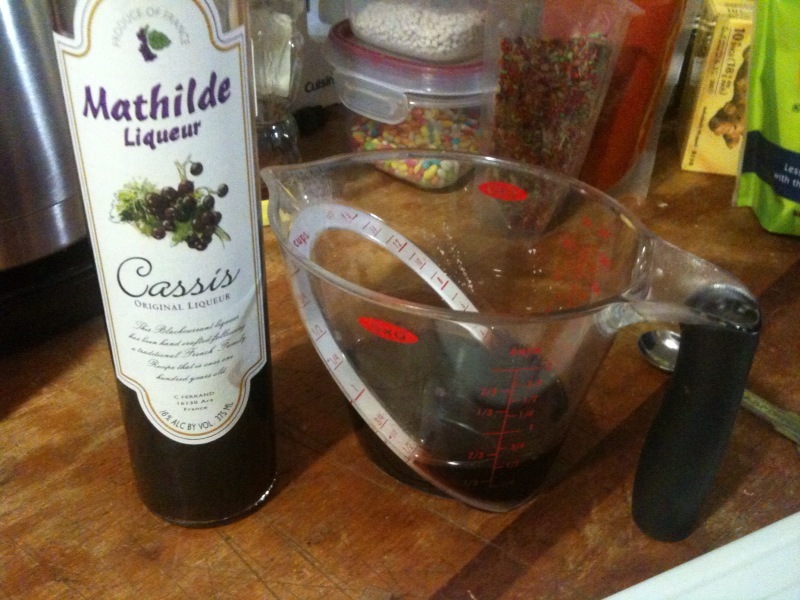 Serve warm or at room temperature–enjoy! Sweet, juicy, and so easy to make!